Earlier in the week, myself and the youngest decided to go off foraging and see if we could make a batch of dandelion wine. A gallon of wine from a common old weed must definitely worth a try! Off we set to our local woods – where it has to be said, there were enough dandelions to go around the entire village, and quickly set to work on the pickathon. The recipe calls for just the flowers, so we tried to pick just the yellow heads. One gallon of wine needs one gallon of dandelion petals, and we found that a full carrier bag of flowers is more than enough to do the job, and after we’d gathered them our hands were an interesting shade of mustard. All containers and equipment also had to be sterilised and we used Milton’s tablets for this. Boil the water and pour over the petals. Cover and leave for a couple of days, stirring occasionally. This mixture looks like a bowl of sludgy seaweed… don’t be put off. Pour everything into a large saucepan and add the lemon zest, bring to the boil then stir in the sugar until dissolved. Continue to boil for five minutes. Take off the heat and add the lemon juice and the crushed raisins or grape juice concentrate. Clean and sterilise the fermenting container – we used a big plastic punch bowl – thoroughly, pour in the mix and cover until cool. Add the yeast and yeast nutrient and cover with cling film. Ferment for three or four days, strain the petals off through some sterilised gauze or voile then transfer into a demijohn using a sterilised funnel. Fit an airlock cork and allow to ferment for a couple of months. Ours is now bubbling away, and so it’s in a warm place, out of direct sunlight, I’ve wrapped it in a towl and put it in the shed. Once it’s finished fermenting I will need to siphon the clear liquid off the debris at the bottom of the demijohn and leave to clear further in a cool place. Once it’s clear I’ll transfer it into bottles. 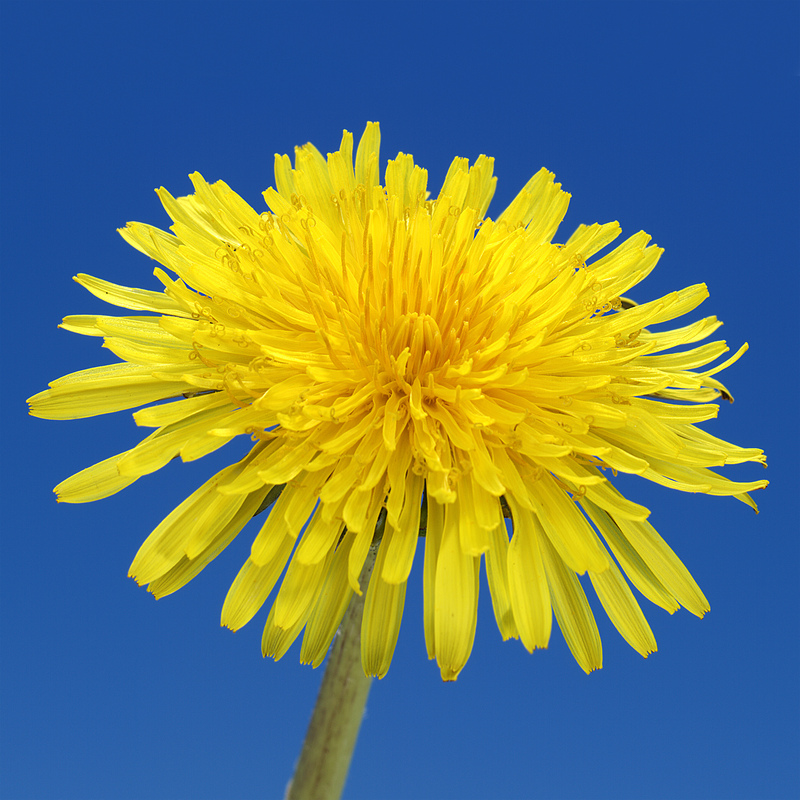 How to make dandelion wine | Life and style | guardian.co.uk. I was finally ready to embark on my virgin flight of hedgerow wine-making. The only bit of equipment I had was a demijohn that had been rescued from the depths of my friend’s shed, so I went off in search of other bits and bobs I might need. These now consisted of: one piece of voile, one car washing bucket and one punch bowl. Armed with citric acid, wine yeast and an airlock , I was ready for the off. 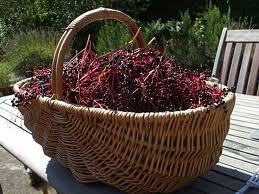 I fished my elderberries out of the freezer and sterilised all my equipment. Step two: put 3lb sugar in the demijohn (funnel required) and pour on a couple of pints of boiling water to disolve. Step three: stretch the piece of voile over the bucket and secure with a big elastic band, tip cold elderberry mix on, and leave to strain through. 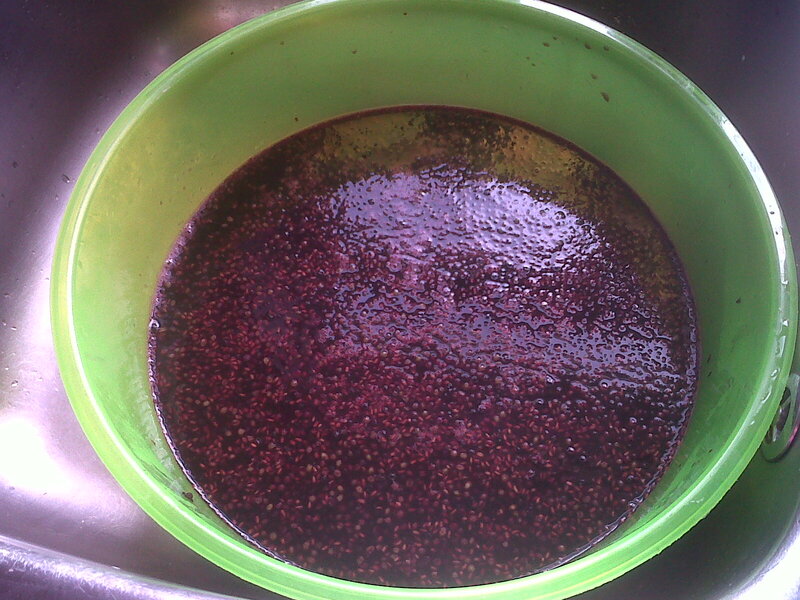 Step four: tip elderberry syrup into the demijohn. Agitate to mix with sugar. Ensure contents are just warm, add one teaspoon of citric acid and one sachet of wine yeast. 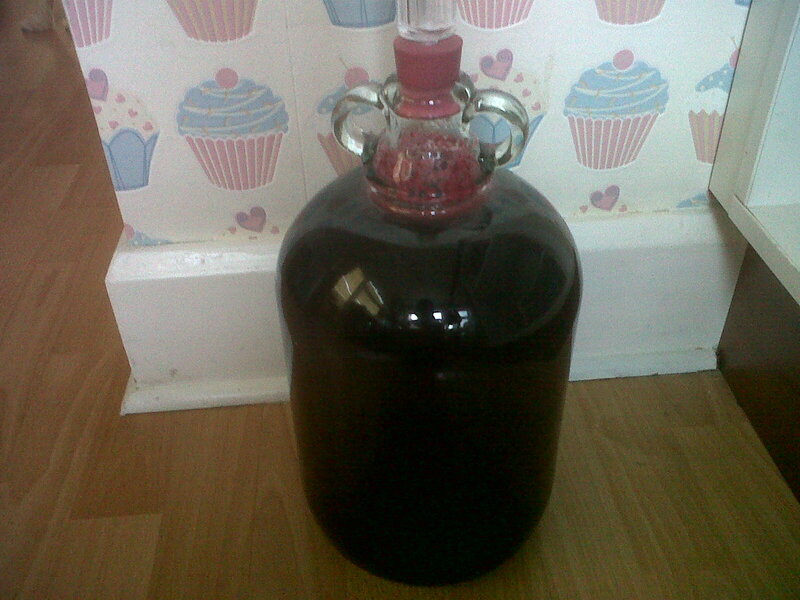 Fill to the neck of the demijohn with lukewarm water, bung with an airlock. Step five: leave in warm place. Happy to say that the wine is bubbling away like crazy this morning. I’m moving it around the house in order to catch the hot spots. Apparently I do more stuff to it when it’s finished bubbling (watch this space), and it should be drinkable in … ooh, about a year. Whilst chatting to my friend last week, the subject of elderberry wine came up – I’d heard of it, and fancied trying my hand at making some. Returning from a late night ‘do’ on Saturday night, we entered the house to find two massive baskets of elderberries in our hall. She’d apparently enlisted the help of her two daughters and others to harvest me some. How kind! Anyway, all done and the final weigh in revealed 3lb of berry deliciousness that was going to make me a wine reminiscent of tawny port. To be honest I’d be happy with wine that didn’t strip the coating from my tongue and that gave me a nice warm glow in my belly, so I don’t think I will be disappointed! So, off to the shops I trotted, to get an airlock, some campden tablets and yeast. There must have been a rush on, as Wilko’s had none of these things, so back home I went. The winemaking venture is now on hold, the berries are in the freezer, and I’ve just opened a bottle of rose that was lurking in the fridge.